Well fellow Speedhunters, I made the trip out to Fuji Speedway on Sunday ostensibly for the launch of the S Tai-spec GT-R (GT-R RC), but there was a lot to see besides, like this highly intoxicating illustration of FOUR WHEEL DRIVE! Things were all very serious in the NISSAN pit; and with so many members of the media prowling around it created a real buzz. 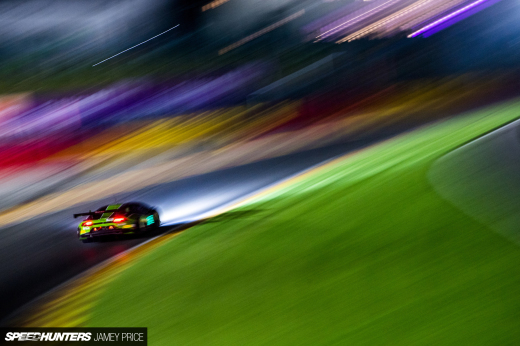 The car qualified third on Saturday in the wet – but in a dry session on Friday, the new GT-R RC blew the field away! With this highly experienced driver lineup, you know Nissan's serious about generating customer orders. 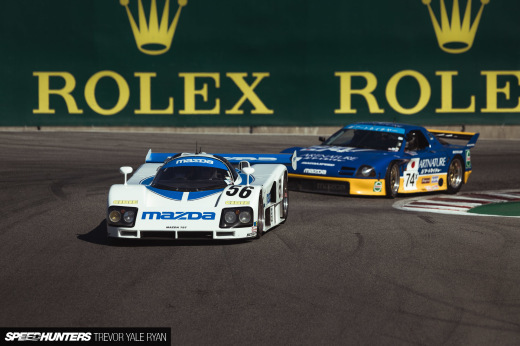 It has been rumoured that there may eventually be four or even six of the customer-spec cars competing. 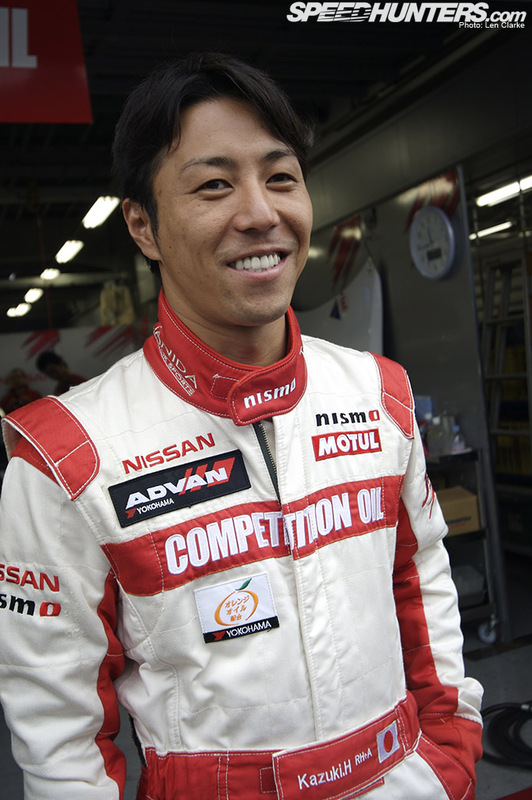 Likewise Kazuki Hoshino, son of the legendary Kazuyoshi, is another with a wealth of experience and pace. Not pictured is Tetsuya Tanaka, Nissan Driver Development Program instructor , himself with an enviable success record in racing. 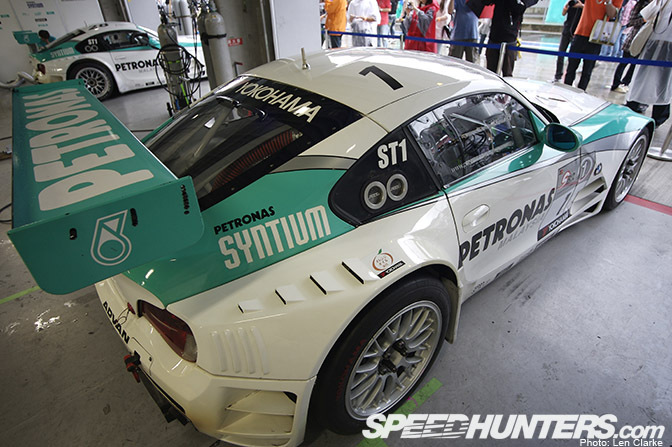 The Petronas Syntium Team's pair of BMW Z4M Coupes. 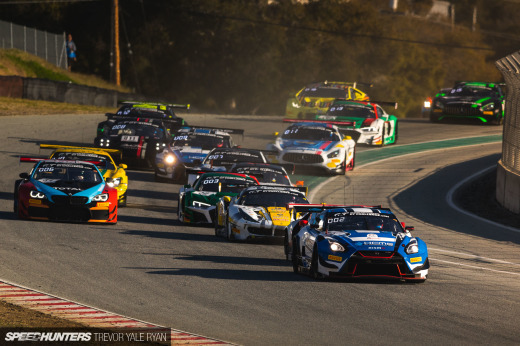 And their strongest rivals, the Team ART Taste GT3 – current SUPER GT driver Yuji Tachikawa sits on the left, next to him is Yasuhiro Shimizu, and in the foreground, another former SUPER GT driver's champion Hironori Takeuchi. The backbone of the ST2 class, Mitsubishi Evo 9s. There are five in the class, with one Evo X and a lone Impreza. Some of the 'Campaign Girls' even take photos of each other! Two of the drivers of the #15 Okabe Jidousha RX-7, looking pretty pumped for the race. …and here's their car, one of a trio of RX-7s competing in the ST3 class. Pumpin' Gas! Crew member fuels up the Prova Engineering-run #77 Nissan Fairlady Z (Z33). ST4 class features no fewer than four Honda S2000s. Hard at work before the cars head out for the Grid Walk. Bomex Racing are fielding a pair of the little Honda rockets. Prova Engineering again, here with the only car capable of taking the fight to the rest of the ST2 class. And another Z33 Fairlady (there are five of the growlers in the ST3 class). That's my brief introduction to the pit garages at a Super Taikyu race, stay tuned for my race post, coming shortly. I love Super Taikyu! Nice coverage!